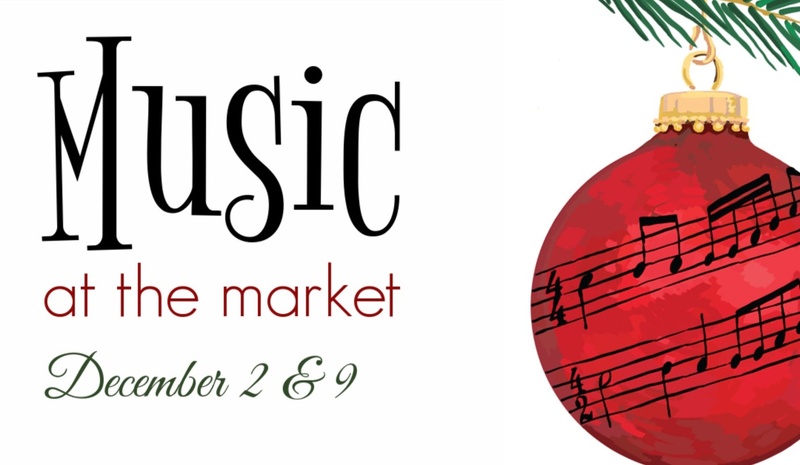 Join us at the market for sounds of the season with special music on back to back Sundays. Dec. 2 Schedule: 11:30 – Christmas Acoustics, 1:00 – Dulcimer & 3:00 – Church Ensemble. Dec. 9 – Barefoot McCoy (noon-3).